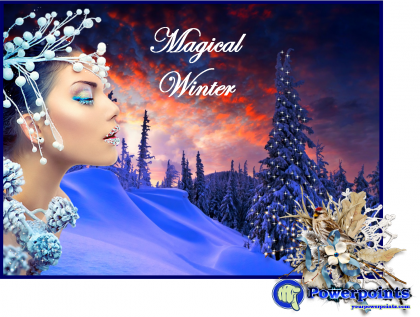 Today I invite you to enjoy a Magical Winter in which we will see beautiful landscapes that with the magic of Powerpoint are slowly changing. I hope you have a good time, as I did in preparing it with much affection for all of you "my new family". Thanks in advance to all who decide to see it. Receive many hugs from California with my friendship. Thanks for a lovely share. Thank you umanakka for taking your time and giving me such a nice comment.